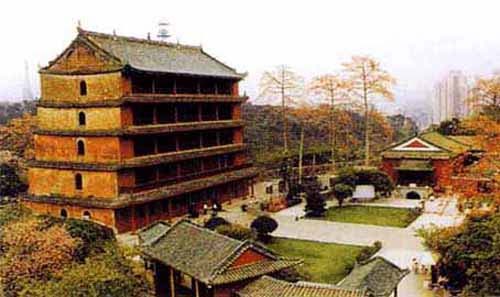 With a history of 630 years, Zhenhai Tower is a five-floor tower located on the top of Yuexiu Mountain. 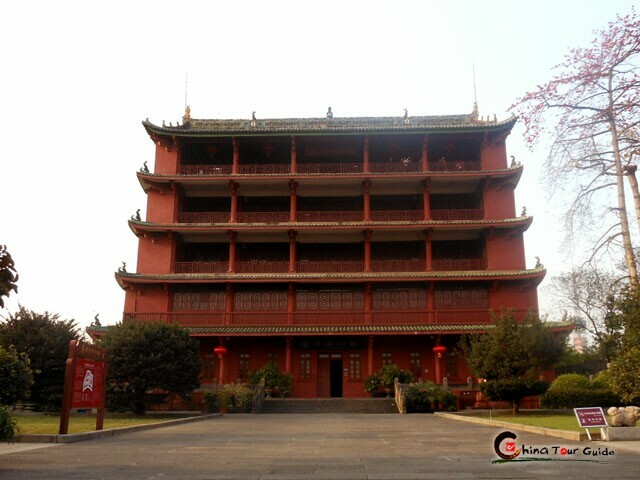 It is also known among the locals as the Five-Story Tower. 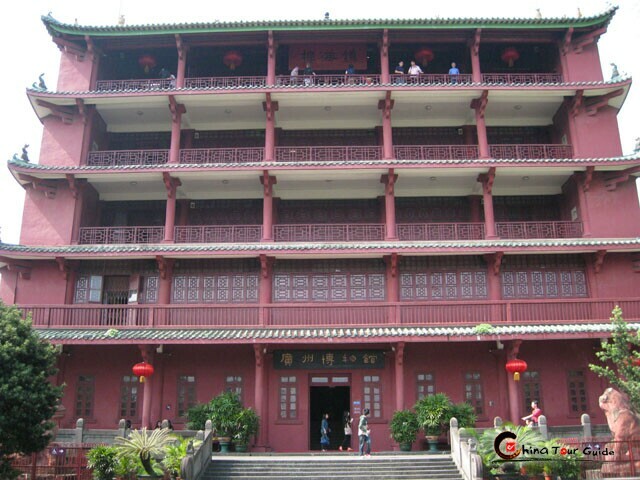 As one of the landmarks in Guangzhou, it is reputed as the best preserved architecture with best vigour and unique traditional features. 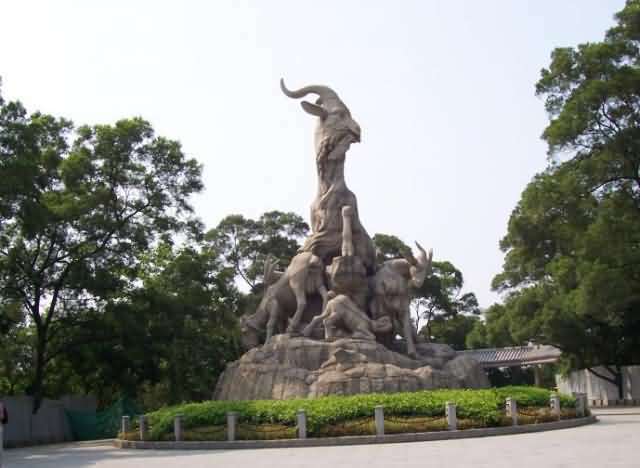 The tower is also named as Guangzhou Museum which shows the changing and development of Guangzhou's culture, customs and the city itself through the display of ten thousand cultural relics, pictures and historical data of Guangzhou. 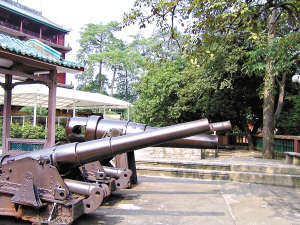 On its west seats a stele corridor which shows the stele carvings of the past dynasties of China and 12 Ancient Cannons. 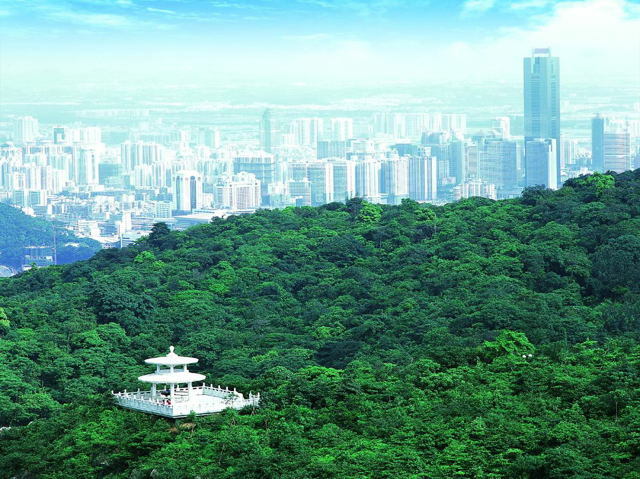 If you want to have a deep understanding of the city's culture and history, Zhenhai tower is a must see attraction. 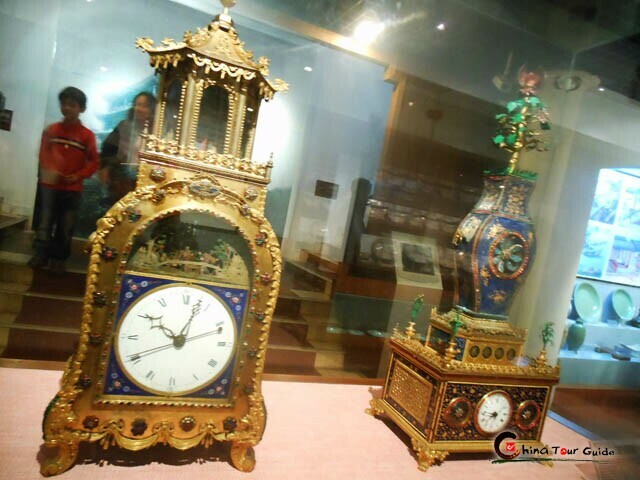 The tower is 92 feet (25 meters) in height, 102 feet (31 meters) in width and 52 feet (16 meters) in depth. 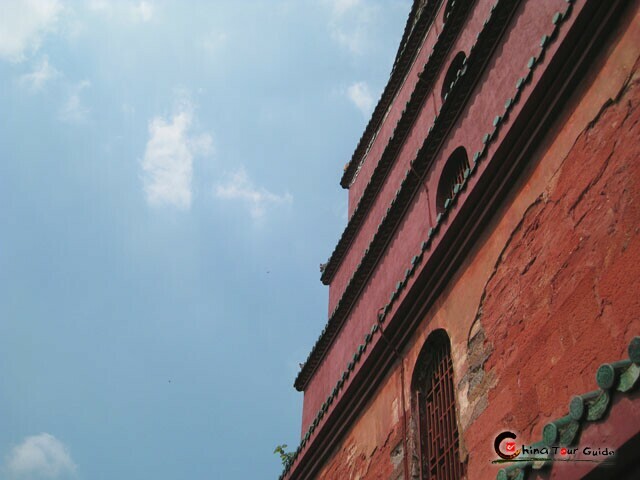 The walls of its first and second floor are built with red sandstones while the other floors are brick walls with the thickness of 13 feet (3.9 meters). 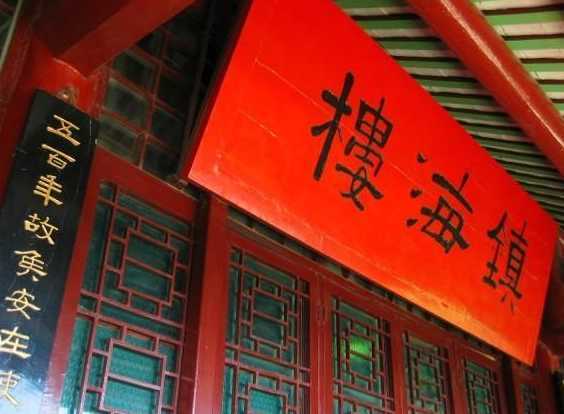 Its magnificent appearance with overlapped brims and spectacular red walls make it reputed as "the first scape in South China". 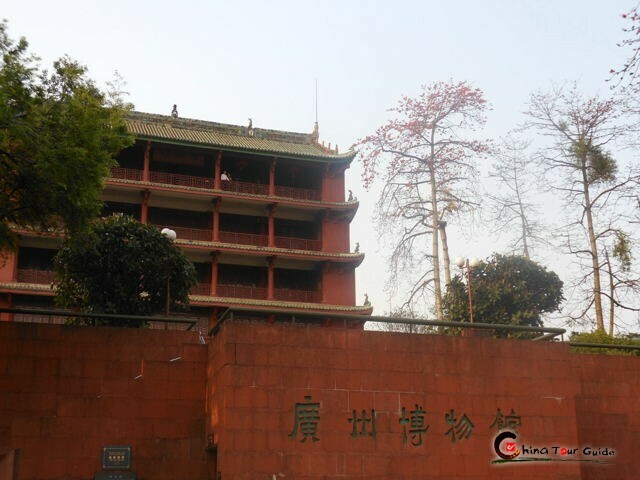 The horizontal plaque with Chinese characters of "Zhenhai Tower" is hanged in the front of its fifth floor. 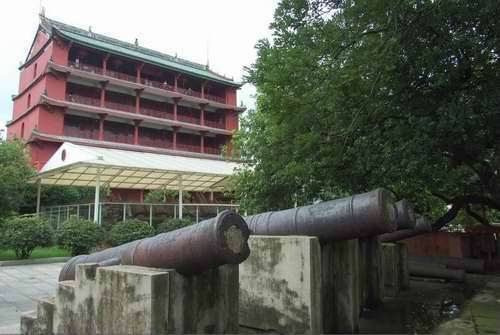 In front of the tower, there is a stele corridor which shows the stele carvings of the past dynasties of China; on its right side, 12 Ancient Cannons are displayed. 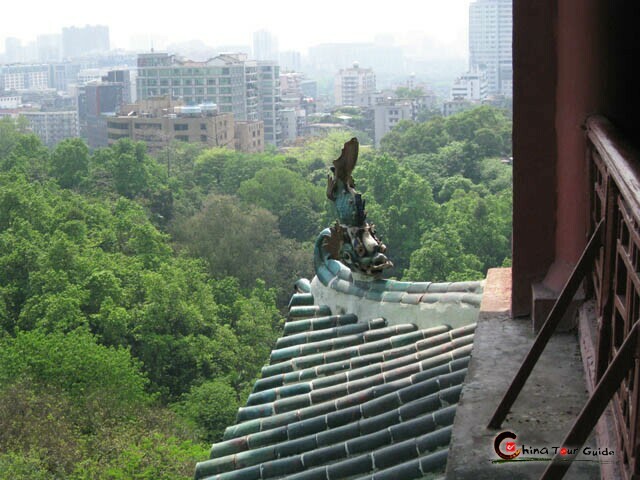 From the Qing Dynasty (1636AD—1911AD), Zhenhai Tower has been reputed as one of the eight scapes in Guangzhou and one of the modern tourist attractions for many times. 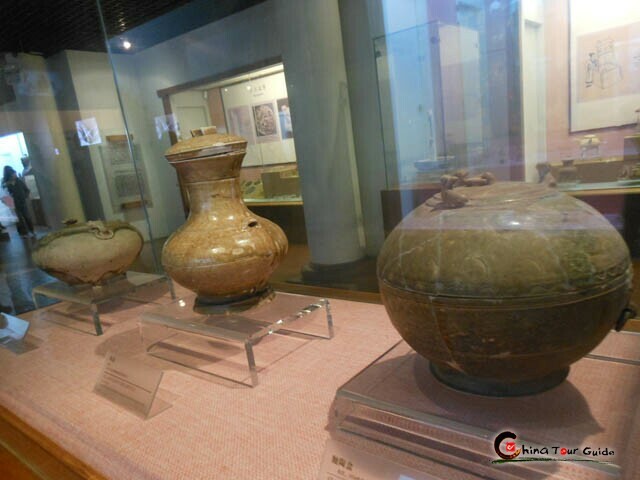 The museum is a comprehensive museum which displays abundant cultural relics and shows the history of the city. 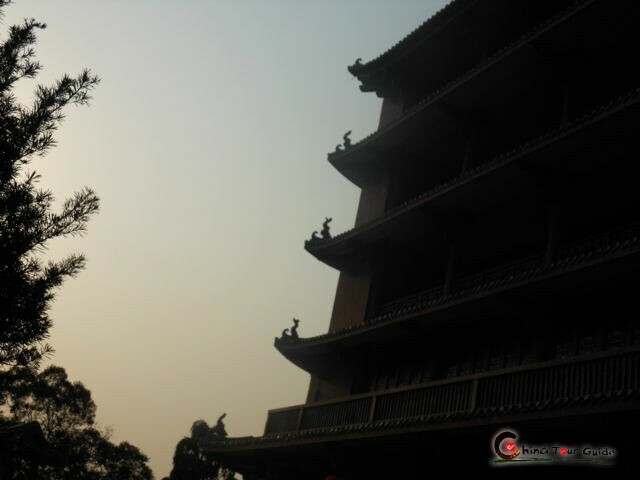 Combined with the structures of tower and floor, the outside wall of the tower is in a decreased shape from the bottom to its top. 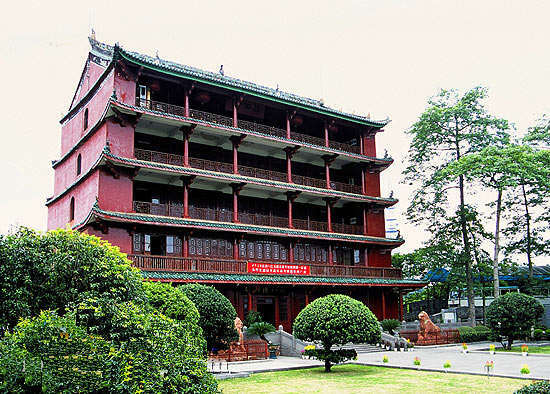 Its magnificent appearance with overlapped brims and spectacular red walls make it reputed as "the first scape in South China". 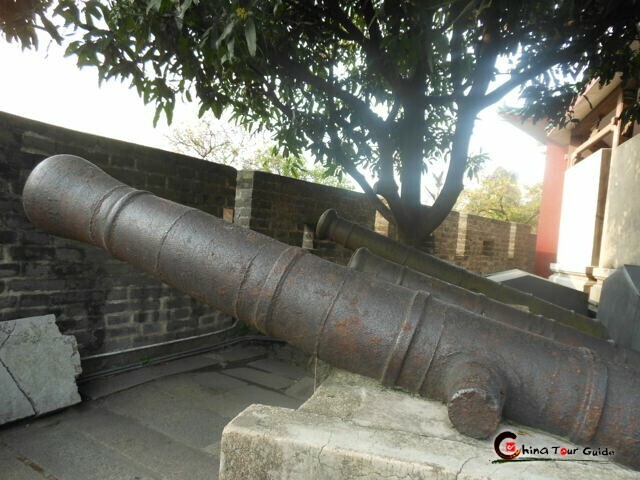 Located at the west side of the tower, the cannons displayed here are made in Guangzhou between Ming Dynasty and the Opium War in Qing Dynasty (1627AD – 1840 AD). 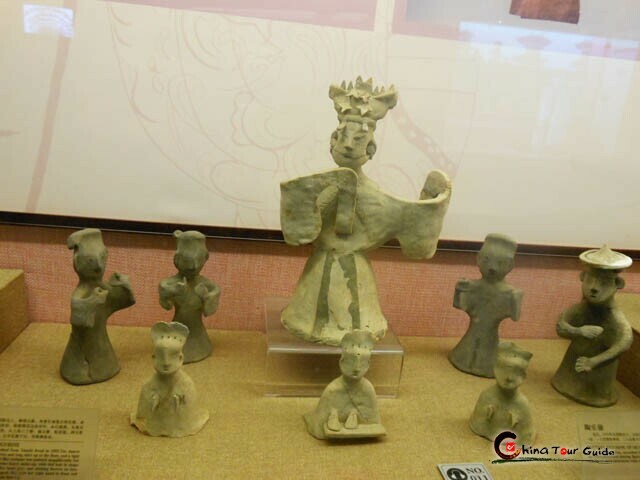 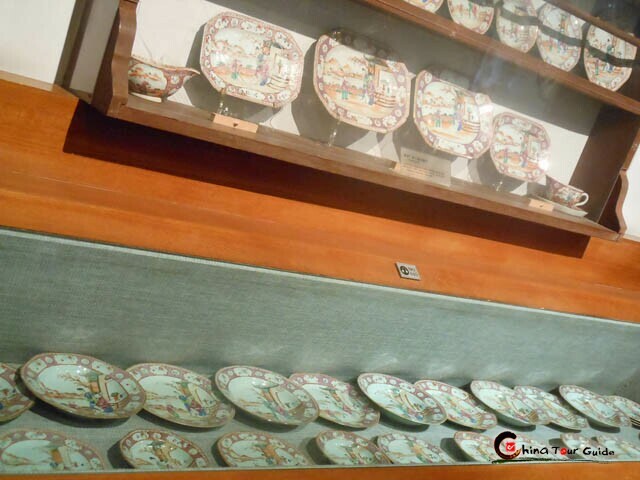 Folks and arts in different period can be found in the museum, including ivory sculptures, ironware, ceramics, paintings, old coins, and embroiders.